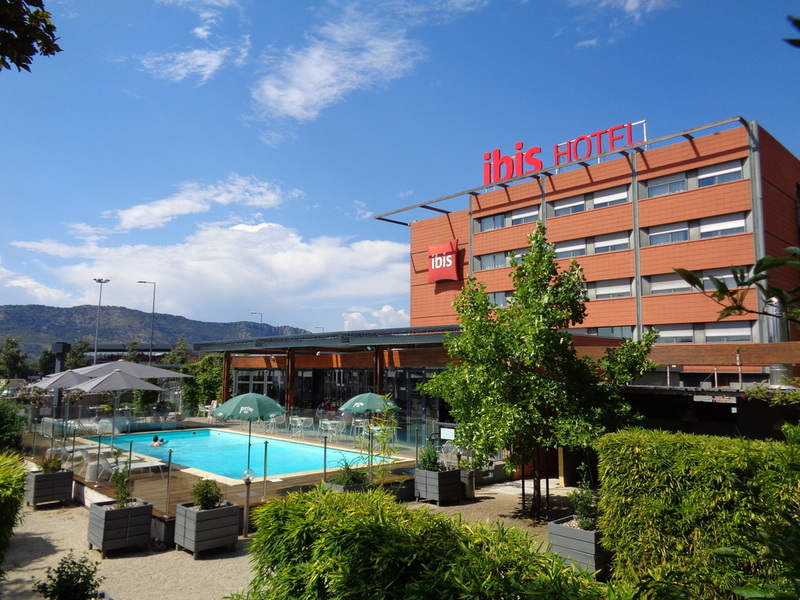 Located 5 minutes from downtown Valence and 10 minutes from the exhibition center, the ibis Valence Sud hotel is ideally located at the intersection of the A7 and A49 highways and close to the TGV train station. Renovated in 2015, the hotel offers a moder n setting, ideal for your business or leisure trips. The hotel has its own restaurant, Aix&Terra La Table Épicerie, with a terrace, a 24-hour snack bar, outdoor pool and 3 meeting rooms, which can accommodate up to 70 people.